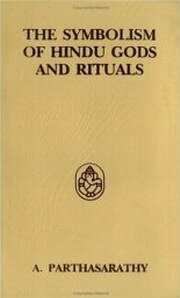 A practical text explaining the philosophical significance of gods and goddesses, rituals and festivals, invocatory prayers. It provides an insight into the treasures of Hindu thought. Swami Parthasarathy is acclaimed as one of the greatest exponents of Vedanta. His multi-disciplined academic base includes post-graduation from London University. For a staggering period of over half a century, he has dedicated himself to the study, research and propagation of Vedanta and its practical application to life.